When THQ released Sain ts Row in 2006, many gamers regarded it to be nothing more than a poor man’s Grand Theft Auto despite it receiving a great deal of commercial and critical acclaim. Its sequel garnered a similar level of success, and it was inevitable that a third game would be released. What nobody expected was how ridiculous this game would be style wise. The third installment of the Saints Row franchise takes everything you knew about sandbox games with a crime-laden storyline and gives it a swift kick in the grapes, but it unfortunately does little or nothing to correct some of the problems with this genre. 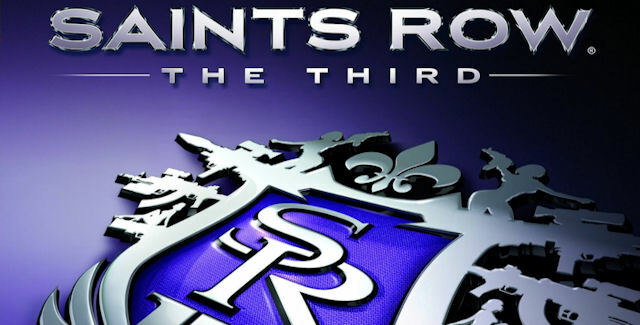 Saints Row: The Third begins with a brief synopsis of the events between the end of Saints Row 2 and this current chapter. Essentially, The 3rd Street Saints have risen to worldwide popularity, and as such have become far too occupied with their media empire to keep control of the streets they conquered. The game opens with gang members robbing a bank with an actor in tow. Unbeknownst to the Saints, the bank is owned by a rival organization called “The Syndicate”, and through a series of ridiculous events, that partly involve falling from an airplane, engaging in a gunfight, reentering the airplane, shooting folks, leaving the plane again, and shooting more enemies before grabbing a fellow gang member and parachuting safely to the ground, the Saints land in a new city which is controlled by The Syndicate. This leaves you having to rebuild your gang in a new city and topple anyone in your way. Saints Row: The Third doesn’t do anything new, but what it does is incredibly fun. You’ll have a ridiculous level of customization of your character and any vehicles you acquire. You can add any and all manner of upgrades to cars, trucks, motorcycles, and even golf carBack to character customization for a brief second, at any point in the game, you can guide your character to the plastic surgeon office and change your facial features, build, skin tone, and gender. Clothing customization is almost bottomless, and you can pretty much wear (or not wear) whatever you want to during gameplay. From regular outfits, to animal costumes, to other, more creative, states of dress. For instance: you can go into your safe house, remove your pants, go outside pantless and start a gun fight with police, a rival gang, or both. Tell me that can’t make for amazing moments. Speaking of amazing, the variety of weapons available is utterly unheard of in this genre of game. There are guns that fire regular bullets, but then there are guns that fire little octopi that will cause victims to flail around like jackasses, a gun that shoots chum at an enemy triggering a shark attack, a wrist mounted laser much like the Mega Buster, and a bunch of other craziness. Once you unlock a weapon, you just have to keep it stocked with ammo and store it at a safe house for future use. Oh and I almost forgot that early in the game, you get your hands on the controls to a military drone. The bombing runs are magic. I’ve gone on at length about what I like about Saints Row The Third, but I have yet to play a “perfect game” and as good as this one is, it has it’s flaws. There is a rather large amount of popup throughout the game, most notably when driving. There are random glitches that take place throughout the game as well. There are instances where your character would fall through the game. It can be infuriating, but it’s nothing out of the ordinary for sandbox games. I expect this to be something that Volition and THQ will release a patch for, but it shouldn’t have to come to this. A game should be finished when it is released, but this has become the norm and it won’t keep gamers from playing and loving this game. If it weren’t for a few flaws, Saints Row: The Third would be a shoe in for game of the year. As it stands, it’s a pretty good game with flaws that would deem a lesser game unplayable, but Volition developed a hell of a game that at it’s core is all about the fun of playing video games. Saints Row: The Third is built for gamers that want the gritty adult theme of Grand Theft Auto, but with the limitless potential of imagination that something like Little Big Planet. Saints Row: The Third has effectively set the bar for the upcoming Grand Theft Auto V to match, and it’s a hell of a bar to reach.